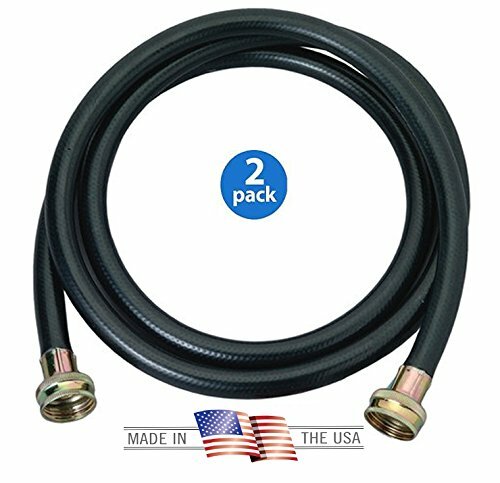 These Washing Machine Hoses are made from black reinforced sturdy braided rubber. Each hose is 6' X 3/8" in Diameter. Easy installation and easy use - just connect it to your washing machine for easier water supply. Each 6 FT Washing Machine Hose can be used with hot or cold water. It has 3/4" female fittings on both ends. If you have any questions about this product by Harbor, contact us by completing and submitting the form below. If you are looking for a specif part number, please include it with your message.